Bonito, a member of the mackerel family, is a favorite at my house. My son is allergic to fish with scales, and bonito has no scales - great for the allergy and much easier to clean! This bonito fish recipe is for baked bonito seasoned with garlic and oregano is cooked with potatoes. Preheat oven to 355°F (180°C). Remove and discard head and intestines from the fish. Carefully cut the fish in half lengthwise, cutting along the back. Sprinkle the fish with salt, pepper, and oregano. Insert slices of garlic into the meatiest parts of the fish. Clean potatoes and cut into equal size wedge-shaped pieces. Sprinkle with salt, pepper, and oregano. Place fish in a large roasting pan, and surround with potatoes. Add remaining slices of garlic over the potatoes. 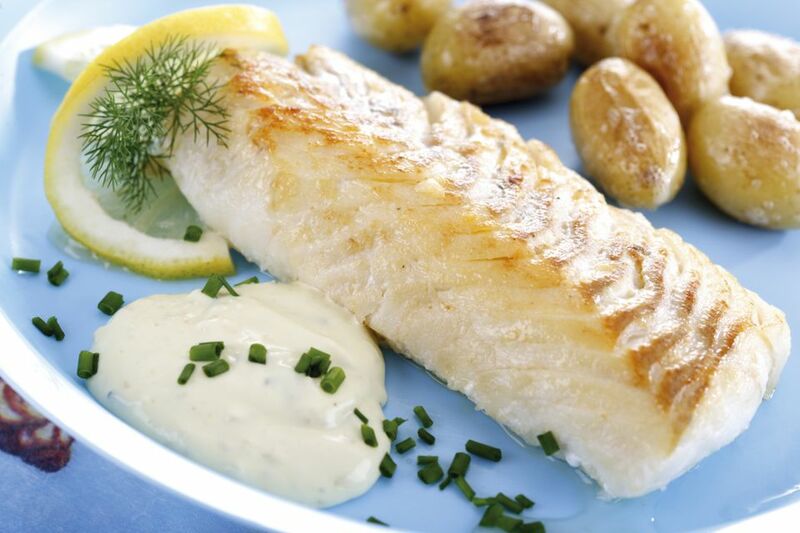 Whisk together the oil and lemon juice and pour over the fish and potatoes, and add water. Bake at 355°F (180°C) for 1 1/2 hours.